Saga Islands are being invaded by monsters and it is up to you to save the islands. The monsters have escaped from their games, kidnapped the king and they have only one goal in mind: steal all the free spins! Log in to Casino Saga. Play and escape the monsters to win free spins. Casino Saga has stated that there are four checkpoints where you can earn the free spins at so you will have four chances to earn free spins of various amounts. If you get to a checkpoint before a monster does, you will get free spins! However, if you arrive after a monster, you will not be receiving free spins. Even if you miss a check point, you can earn free spins if you arrive at the next checkpoint! The event will end tomorrow (28 October) at 11:59 CET. The games eligible for the event are: South Park-Reel Chaos, Bloodsucker, The Wish Master, Lights or Space War. A new race will start everyday at noon. If you reach a checkpoint before a monster does, you will receive the free spins right away. It’s as simple as that! 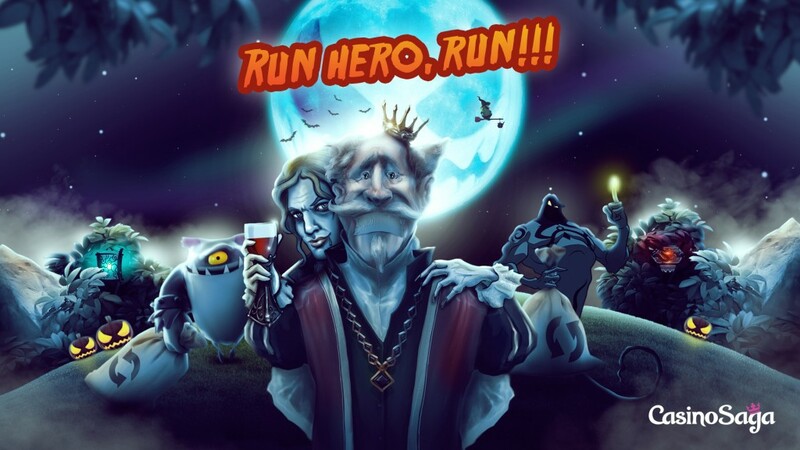 Now go race against the monsters for free spins! And don’t mind the king, I’m sure he’ll be fine.